This week our guest blog is from Gregor & Merryn at Bushlore Herbal. It’s a light-hearted, informative piece about their nutritional journey from juicing to smoothies, how to grow wheatgrass and the importance of detoxing the liver. I highly recommend giving their six-week liver detox a go, it’s a great way to kick start your liver into action for the rest of 2019. For anyone who is wanting to support effective detoxing and nutrition…juicing is a great way to quickly and easily get good nutrition into your body – especially good for fussy kids! 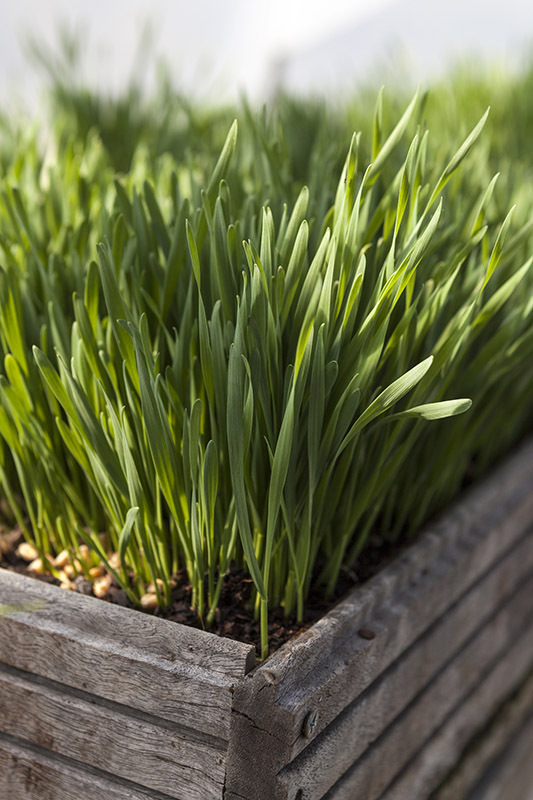 I used to grow wheatgrass in trays in our greenhouse and pick daily for juicing…but once I started teaching full time that system went out the window…to the point where I started buying wheatgrass powder from health food stores. Personally, I don’t believe that you get the same nutritional benefit from a powdered product as you do from the ‘real’ thing” especially when you can control how you grow your wheatgrass. I am using my old Greenstar juicer (many cheaper options on the internet these days) to juice a tray of wheatgrass at a time, and then pour the wheatgrass juice into ice cube trays…freeze them and I am now adding wheatgrass ice cubes to my smoothies – thinking that fresh wheatgrass organically grown and fed with sea salts and seaweed is more nutritious than in powdered form. It also saves time as I am juicing a whole tray at once (you can also juice beetroots or carrots with the wheatgrass) and then freeze it in ice cube trays for future use. I did try to run fresh wheatgrass through our Nutribullet as part of a smoothie mix but it was stringy and didn’t mix properly. For some delicious nutritious smoothie recipes try this website. 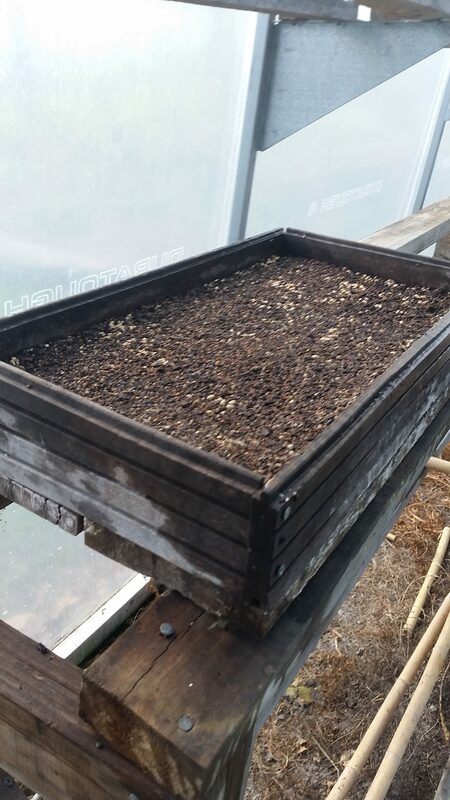 Fill seed tray with seed raising mix. Spread thickly the wheatgrass/barley seed so it almost covers the raising mix. Leave in a sheltered place away from birds! – water every day but don’t over water, a spray bottle works well. When the growth reaches around 13 cm it’s ready to harvest, cut what you need each day and continue to water the rest that’s still growing. It will only sprout once so it’s a good idea to have a few trays going in succession. Your liver replaces most of its cells within six weeks. This creates a great opportunity to detox and rebuild your liver. All you need to is stop or restrict coffee, alcohol, sugar/caffeine drinks and smoking for 6 weeks. 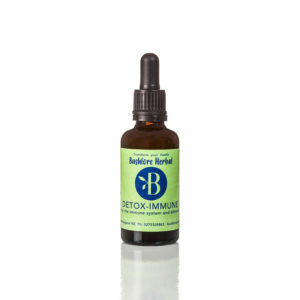 Detox existing toxins that have built up over time in your liver and other elimination organs with Detox-immune herbs and Super-Antioxidant liposomal Vitamin C product. Follow a regime of juicing and/or smoothies to replace nutrients to help rebuild healthy liver cells. The majority of people will have more energy, feel invigorated, sleep better and have a stronger immune system.